Spring-pendulum seismometers were used before electronics were able to measure the size of earthquakes. A medium-sized spring-pendulum seismometer, about three stories tall, is located in Mexico City, Mexico and is still in use. But history of earthquakes is older; exists since from the beginning of mankind. Almost every year we hear together how this planet moves, shaking up, shifting and killed thousand of lives on top of it. An earthquake is unpredictable. It comes often with no warning. Some earthquake collaborate with Tsunami and that makes his killing score rise up to hundreds of thousands lives. 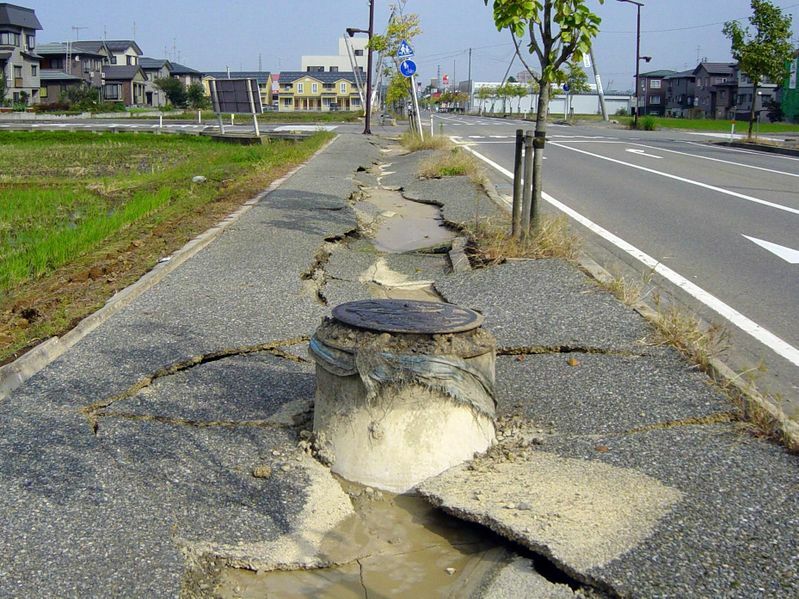 There are approximately a half million detectable earthquakes each year. Of the 500,000 earthquakes, only about 100,000 can be felt. But, only about 100 of them can cause damage. In order to become more familiar with this deadly act of nature I have put together a list of interesting facts many people wouldn’t know about. Tectonic earthquakes occur anywhere in the earth where there is sufficient stored elastic strain energy to drive fracture propagation along a fault plane. In the case of transform or convergent type plate boundaries, which form the largest fault surfaces on earth, they move past each other smoothly and aseismically only if there are no irregularities along the boundary that increase the frictional resistance. Most boundaries do have such asperities and this leads to a form of stick-slip behaviour. Once the boundary has locked, continued relative motion between the plates leads to increasing stress and therefore, stored strain energy in the volume around the fault surface. This continues until the stress has risen sufficiently to break through the irregularity, suddenly allowing sliding over the locked portion of the fault, releasing the stored energy. This energy is released as a combination of radiated elastic strain seismic waves, frictional heating of the fault surface, and cracking of the rock, thus causing an earthquake. This process of gradual build-up of strain and stress punctuated by occasional sudden earthquake failure is referred to as the Elastic-rebound theory . Earthquakes in volcanic regions are caused there, both by tectonic faults and the movement of magma in volcanoes. It is estimated that only 10 percent or less of an earthquake’s total energy is radiated as seismic energy. Most of the earthquake’s energy is used to power the earthquake fracture growth or is converted into heat generated by friction. Therefore, earthquakes lower the Earth’s available elastic potential energy and raise its temperature, though these changes are negligible compared to the conductive and convective flow of heat out from the Earth’s deep interior. While most earthquakes are caused by movement of the Earth’s tectonic plates, human activity can also produce earthquakes. Four main activities contribute to this phenomenon: constructing large dams and buildings, drilling and injecting liquid into wells, and by coal mining and oil drilling. Perhaps the best known example is the 2008 Sichuan earthquake in China’s Sichuan Province in May; this tremor resulted in 69,227 fatalities and is the 19th deadliest earthquake of all time. The Zipingpu Dam is believed to have fluctuated the pressure of the fault 503 meters away; this pressure probably increased the power of the earthquake and accelerated the rate of movement for the fault. The greatest earthquake in Australia’s history is also claimed to be induced by humanity, through coal mining. The city of Newcastle was built over a large sector of coal mining areas. The earthquake has been reported to be spawned from a fault that reactivated due to the millions of tonnes of rock removed in the mining process. an oblique-slip fault has non-zero components of both strike and dip slip. There is a common myth (particularly in New Zealand where earthquakes are common) that if you have a lot of small earthquakes, it helps to alleviate the pressures building up that can cause a big one. But this is not true. Seismologists have observed that for every magnitude 6 earthquake there are 10 of magnitude 5, 100 of magnitude 4, 1,000 of magnitude 3, and so forth as the events get smaller and smaller. This sounds like a lot of small earthquakes, but there are never enough small ones to eliminate the occasional large event. It would take 32 magnitude 5′s, 1000 magnitude 4′s, 32,000 magnitude 3′s to equal the energy of one magnitude 6 event. So, even though we always record many more small events than large ones, there are never enough to eliminate the need for the occasional large earthquake. 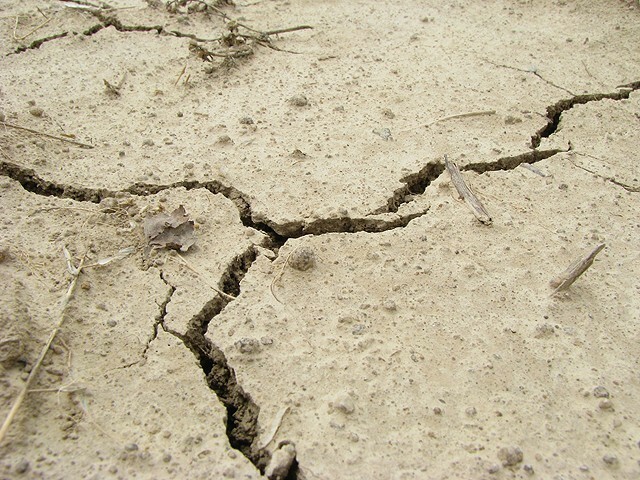 There is also a perception that “lubricating” faults with water or some other substance will reduce the quakes or the intensity, well injecting high pressure fluids deep into the ground is known to be able to trigger earthquakes to occur sooner than would have been the case without the injection. However this would be a dangerous pursuit in any populated area, as one might trigger a damaging earthquake. And by the way, there is no such thing as earthquake weather . They seem to occur the same number of times in all different types of weather. It is impossible for the weather to affect the forces beneath the earth’s surface.